As gutter contractors servicing Lexington, KY we provide gutter repair and new installations for aluminum gutters. New Gutters As Low As $99/mo! Our trained staff will give you an understanding of the latest gutter technology for preventing water damage to your property. Whether you’re looking to spruce up the colors or just need an insurance claim replacement we can help. Grant was very responsive to our needs. The company was very timely and professional. I would definitely conduct business with them in the future and recommend them for any of your roofing, siding or gutter needs. Discover which type of gutter may be right for your home in Lexington. We prefer the brand name GutterRX, as this particular brand produces the longest warranty that we know of, so we can definitely stand behind its performance and longevity. 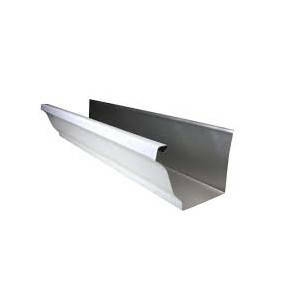 Aluminum gutters are one of the most common and popular choices for homeowners to have installed. They are lightweight and maintain a rust resistance that’s hard to compete with. Best of all, they are one of the most affordable choices on the market. If you’re after a natural aging look that will set your home apart, coppers gutters are for you. Their unique appeal is often found on historic properties, but are gaining popularity in the residential sector. The advantages are providing a more unique curb appeal, but they often come in at nearly 6-7 times the cost of aluminum. While steel gutters aren’t as popular due to their increased cost and rust factor, they are another type to consider. Some homeowners appreciate this type due to being able to paint them to their own color preference. They come in galvanized steel as well for a more prolonged life span. 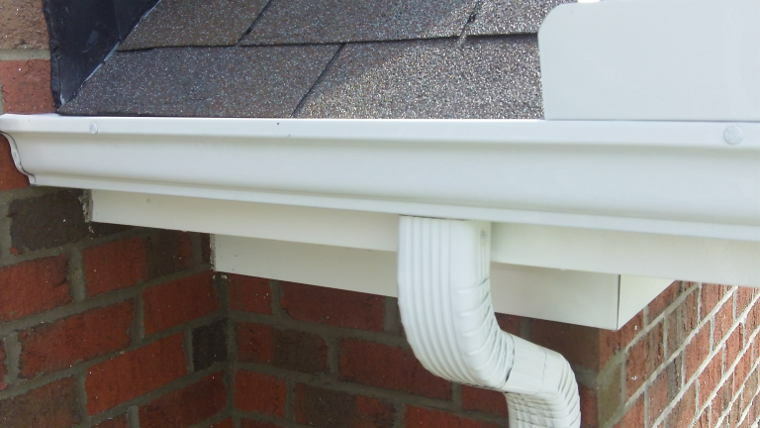 Gutter systems can be installed on a plumb or angled fascia. These systems are available in a wide array of colors to match your homes décor. 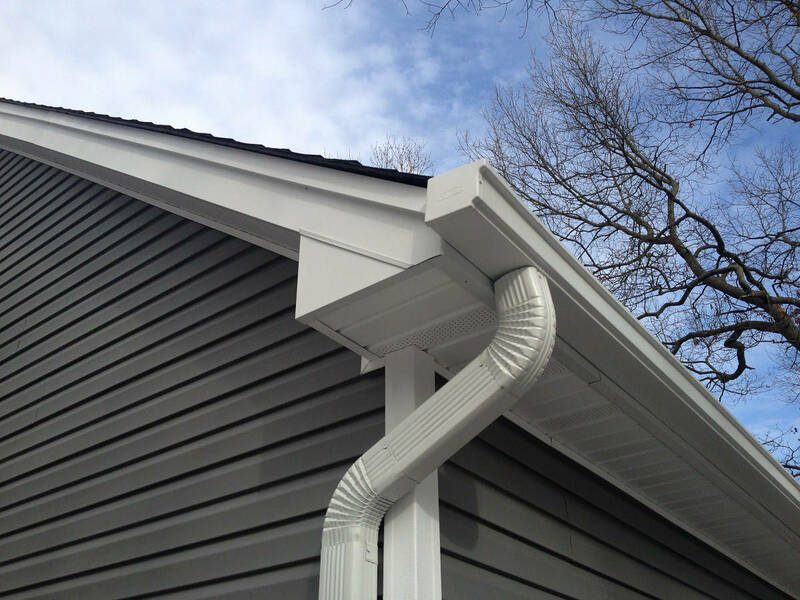 All of our gutters are seamless and custom crafted on site for accuracy in length and assurance of quality appearance, leaving no visible fasteners. 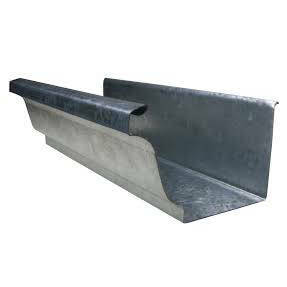 We even offer (1/2) half round gutters! In most cases, our trained field installers can complete a full assembly, A to Z, in a single day. Contact us for a quote & prepare to be impressed! Gutters are placed at the lower edges of your roof line to catch water as it leaves your roof. The water is then guided away from your home to protect landscape and prevent the water from causing problems with your footer or slab foundation of your home. On most homes they consist of a horizontal 5” or 6” K type gutter and vertical downspouts to direct the flow to a safer location. 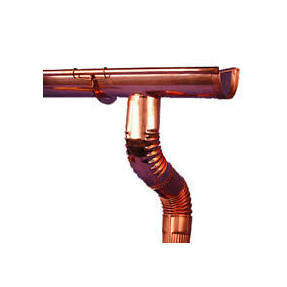 Leaf guards can also be installed to prevent any debris from clogging the gutters. 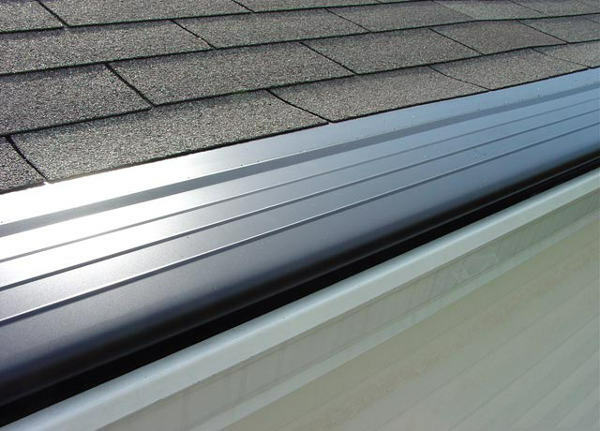 Choosing our gutter installation services could be one of the best choices you make for protecting your home. We only use industry leading brands, proven to protect your investment. This ensures you have a quality product installed to prevent water damage to your property. Installing or replacing your gutters is one thing, but ensuring that your installation is precise and meticulously crafted with a dedication to quality is why we have so many satisfied clients! If your home is in need of gutter repair, storm damage replacement or you’re just wanting to give it a makeover, trust Lexington Blue for the job!